This festive looking dessert is in the theme of red, white, and blue. 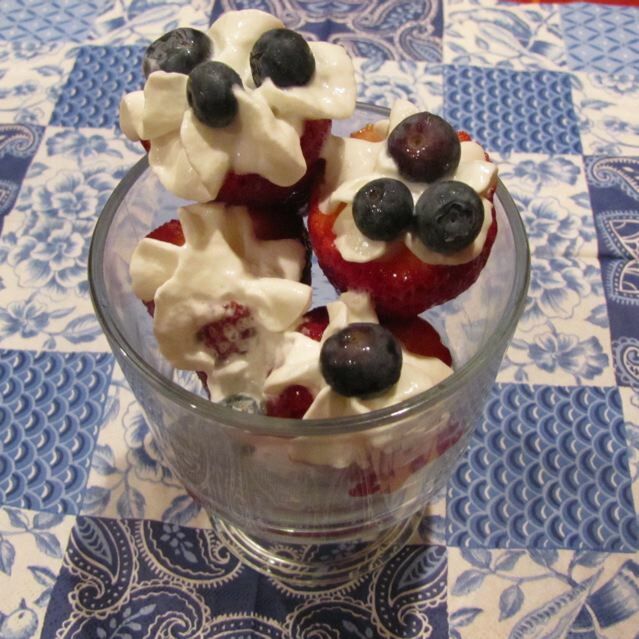 I cut the tops of the strawberries off and used canned whipped cream to decorate the cut tops. Next, I dotted them with blueberries and carefully arranged them in dessert bowls. It is a great and easy to make dessert (even kids could make). Then the kids had a little fun with the remaining strawberries. They made strawberry creatures… I am not sure if it looks like a dinosaur or not. You decide. 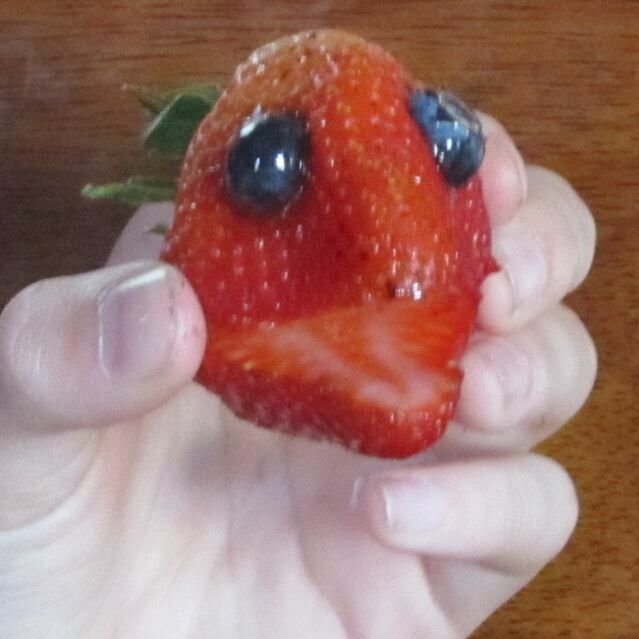 They cut a little mouth in the tip of the strawberry and then made small holes for the eyes and placed blueberries into the holes. I thought it was cute enough to share! Categories: Dessert - Fruit, Fruit, Kid's can cook! | Permalink.